If you haven’t gone gluten-free yet, you’re simply not with it. In fact, for every person diagnosed with Celiac disease, 20 others are choosing a gluten-free diet! But aside from being the hottest trend, what is the real story about wheat? If you’re working on a healthier new you for the new year (or if you left those goals back in January!!) 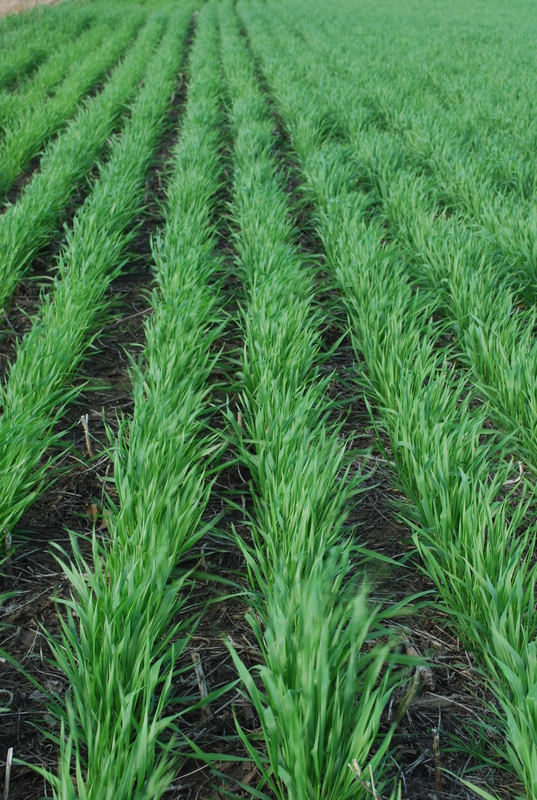 here are six things you need to know about wheat. 1.) Wheat contains vital nutrients. If you truly have Celiac disease then skipping gluten 100% of the time is crucial. However, avoiding this food source is going to leave you missing nutrients, like B vitamins, calcium, iron, zinc, magnesium, and fiber. You’ll need to plan carefully to add these elements back into your diet in other ways. Going gluten-free needs to be carefully considered, not jumped into lightly. 2.) Gluten-intolerance is not caused by GMO wheat. How do I know this? There is no GMO wheat. Wait for it. Someone is going to tell me Monsanto just doesn’t want me to know about it (Is it you? You know you want to!) but if wheat farmers who buy, plant, and harvest the wheat don’t have access to GMO wheat then where would you be getting it?! I love growing wheat in the fields around our house. It’s so pretty! 3.) The post that went viral about farmers spraying their wheat with Round-Up before harvest is over-reaching. To say the least. 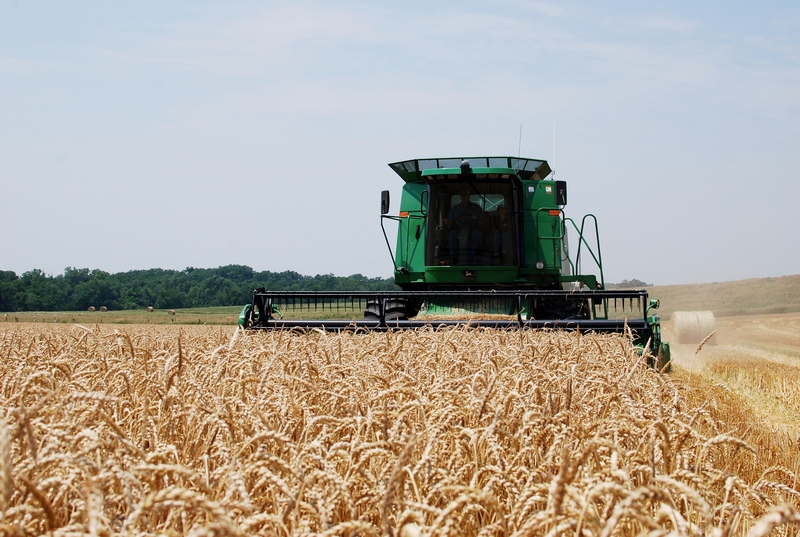 The post says farmers spray wheat before harvest to increase yields, but this account of a fellow farm wife tells her story of wheat harvest in the north. What you need to know is there are farms that benefit from this practice, but it’s done according to regulations. More importantly, only about 5% of the wheat in the US is harvested this way. 4.) Scientific studies don’t support a gluten-free diet. A double-blind study in Australia showed people felt better when they thought they weren’t eating gluten, but their bodies had no measurable difference. Their bodies did have differences when their diets cut out FODMAPs, which are confusing substances found in all sorts of foods, from apples to beans to, yes, wheat. The moral of that very difficult article was to be tested if you think you are intolerant of foods. 5.) If a test reveals that you are gluten-intolerant it’s also important to know that a gluten-free diet is only effective if it is completely gluten-free. So avoiding wheat “most of the time” is a pointless effort. Generally, eating healthier is the way to feel better. If cutting wheat means skipping the white bread in favor of some carrot sticks, well, that may be part of the success of gluten-free food. 6.) But don’t be fooled. Read the labels on gluten-free alternatives. Some of the additives they use to recreate the natural texture or taste of wheat are high in cholesterol or low in nutrition. So what’s your take? Is bread on the menu tonight?